The program is making a difference in the community and exposing school kids to the world of hockey. “It brings in new fans, readers, and people that might not normally come to a hockey game,” Hall said. 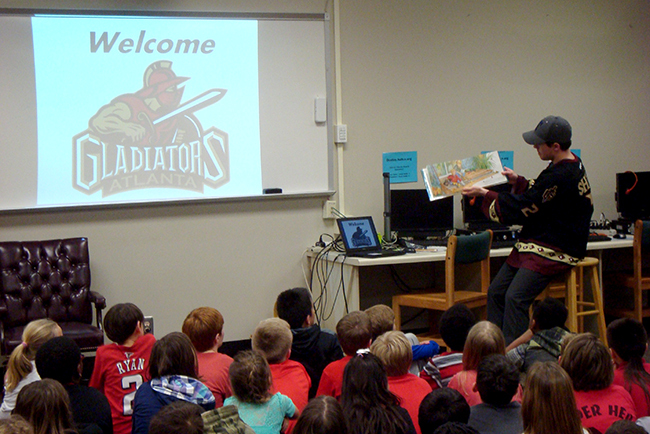 Hat Trick for Reading isn’t the only way the Gladiators are involved in the Atlanta community. “We do three events throughout the year. We gather non-perishable food to give to shelters around the holidays, we collect jackets for the poor around the first of the year, and we have the teddy bear toss event in February,” Hall said. 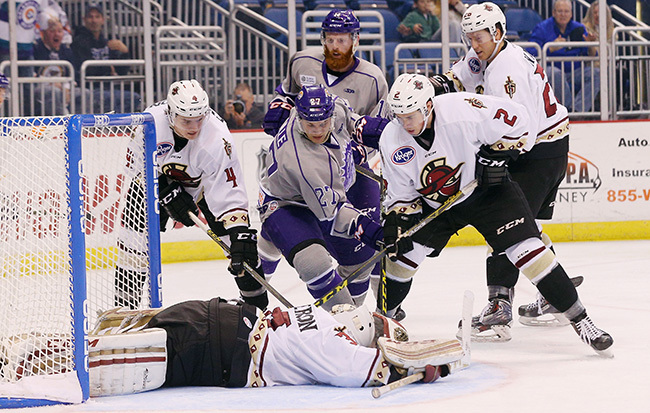 While hockey may not be ATL’s most popular pastime, the Gladiators are dedicated to creating more hockey fans — and bookworms.